Last year I decided to travel back to Iceland after I've was there in 2015 for the first time in summer. 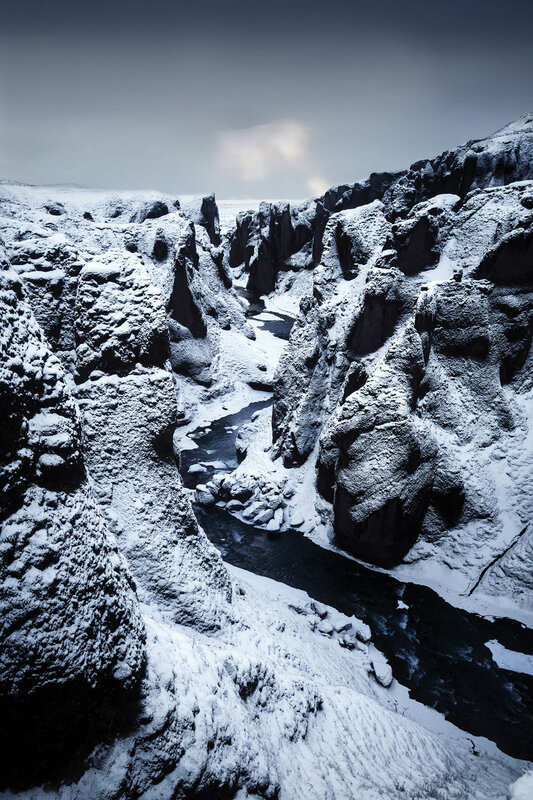 I wanted to see this unique rough landscape covered in snow since a while and it didn't disappoint at all. When the plane started to descend we already flew over snow covered volcanoes and my nose was glued to the window. I was looking down to the white highlands, sometimes a thin glacier river created some darker contrast in these white fields and I just felt so excited to go exploring there. All on my own. Just me, a 4WD (which is necessary in winter) and this country. I picked up my car and made my way to Reykjavik for the first night. It was November and I was so lucky that the first snow arrived on time. The next morning I drove up north to the Snæfellsness Peninsula, aiming for the famous Kirkjufell mountain. On my way all the seasons occurred, from sun to snow and even hail. That's Iceland. Just get used to it, I thought. I passed the black Budarkirkja, where I enjoyed the intense contrast of the snow and the black church, took a short walk on the beach and started driving towards Grundarfjördur. The street was already so icy and snow drifted across the street while the sun went down behind the hills. This mood was to die for. There was nobody else, I stopped and took it all in. I even discovered a little cabin nearby which I've seen a lot on Instagram after my trip. In this moment I had it all to myself. The next morning I got up not that early for sunrise, as the sun comes up pretty late at that time of the year. Photographing Kirkjufell and witnessing how the light woke up this tiny fishing village was out of this world. The sky was so clear and there was no noise at all. I drove farther south towards Laugarvatn, where I watched another clear and stunning sunset from my room window. The Icelandic horse is another big reason why I love Iceland so much. My father owns three of them and I started horseback riding when I was little. During my first trip in 2015 a girl’s dream became true and I spent 3 days riding with a free running herd in the Highlands. This was a life-changing experience for me and probably one of the coolest things I’ve done on my travels worldwide. These horses (it’s important that you say horse, not pony) are the most warmth, giving and heart melting animals I know. From Laugarvatn I drove to the south coast where I visited most of the popular waterfalls, cliffs and beaches. 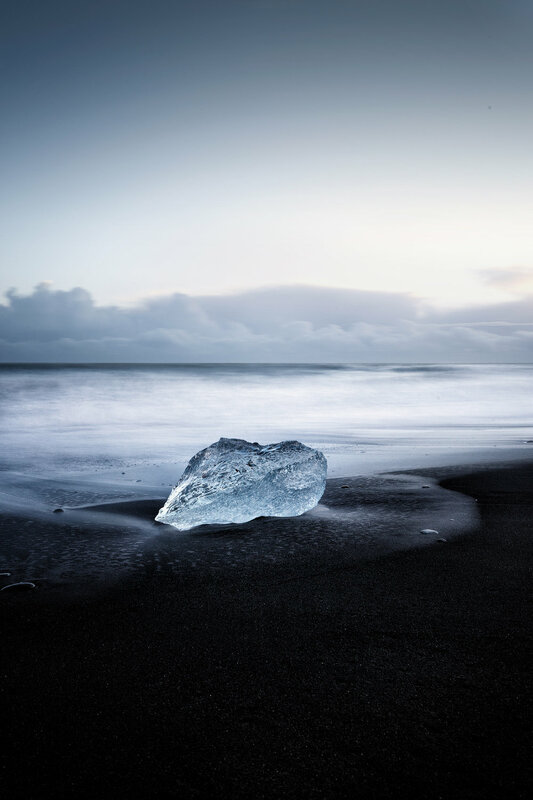 The diamond beach, where all the ice chunks got polished by the ocean and washed ashore again, and the nearby glacier lagoon are one of the highlights in the south. I went a little further to Höfn, where I experienced some northern lights one night and after a week it was time to go back to the airport. A trip packed with one adventure after another was sadly over, but as after my first one I know I’ll be back soon.